Jaguar XF is the high end luxury saloon from the fleet of JLR, which is doing quite well in Indian automobile market. This vehicle comes in four trim levels with both petrol and diesel engine options. The Jaguar XF Diesel is the top end variant that comes equipped with a 3.0-litre, V6 engine that is capable of producing a maximum power of 271.23bhp along with a peak torque output of 600Nm. With the help of 8-speed automatic transmission, this motor delivers a peak mileage of 13.53 Kmpl. 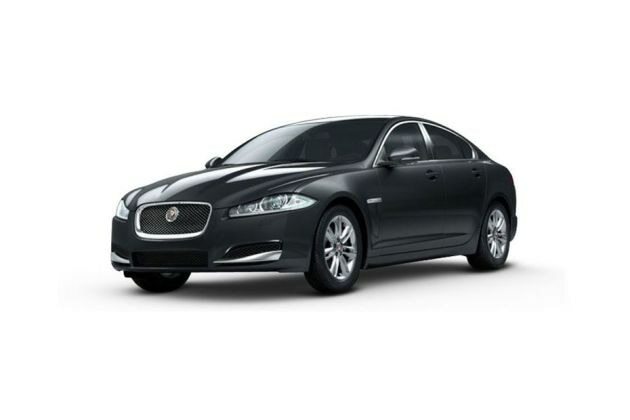 This luxury saloon is a blend of high end technologies like Jaguar drive control, a 250Watt Jaguar sound system along with a television tuner and a 7-inch full color touchscreen display. This vehicle comes with a dynamic exterior design featuring signature radiator grille, LED daytime running lights and stylish alloy wheels. The best part about this vehicle is its luxuriant interiors, which comes with an extensive use of leather. On the other hand, this saloon is blessed with advanced safety aspects like Pedestrain contact sensing, ABS with EBD, traction control and other such aspects. This vehicle will compete with the likes of Audi A6, BMW 5 Series and Volvo S60 in the Indian automobile market. This vehicle comes with a sleek body structure that is equipped with several dynamic aspects. On the front facade, this saloon has a large perforated radiator grille that has a thick chrome surround and is embossed with company's badge. It is flanked by a wide headlight cluster xenon headlamps along with LED daytime running lights and turn indicators as well. The front bumper is in body color, which has an air dam and a pair of air ducts that are further decorated with expressively designed strip. Its bonnet is quite large featuring four character lines, which further compliments the elegance of its frontage. Coming to the sides, it has a plain design featuring body colored door handles and ORVMs that adds to the profile. The company has equipped its pronounced wheel arches with a set of 18-inch Lyra alloy wheels, which are further covered with tubeless radial tyres. Furthermore, its comes with glossy black B-pillars and chrome window sill surround. The rear has a smiley tailgate that is elegantly decorated with a chrome appliqué along with the company's logo. It is surrounded by a neatly sculptured taillight cluster that comes with a glowing LED light pattern. The rear bumper is in body color, which is further equipped with protective cladding along with a chrome plated exhaust pipe. The internal cabin of Jaguar XF Diesel is done up with extensive use of leather that gives a luxurious finish to the interiors. It has a sleekly sculptured dashboard that has a lot of metallic and leather inserts. The best part about the interiors is its cockpit where the central console has been equipped with numerous advanced features like an infotainment system, 'JaguarDrive' selector, an AC unit and several other advanced aspects . The front seats are electrically adjustable, wherein the driver seat also has comfort memory setting. At the same time, the rear seats are foldable in 60:40 ratio, which contributes towards increasing boot volume. All seats have been covered with soft-grain leather upholstery, which provides enhanced comforts. There are number of features incorporated, which includes a cooled glove box, cup holders, sun visors with illuminated vanity mirrors, storage compartment and other such aspects. This variant comes equipped with a 3.0-litre diesel power plant that is incorporated with direct fuel injection system. It has six cylinders and a total of 24-valves that displaces 2993cc. This diesel engine can produce a commanding power of 271.23bhp at 4000rpm that results in a peak torque output of 600Nm at just 2000rpm. The company has skillfully paired this motor with an advanced 8-speed automatic transmission gearbox that helps it to deliver flawless performance. This vehicle can breach the 100 Kmph mark in 6.4 seconds and can reach a top speed of 250 Kmph, which is remarkable. On the other hand, it comes with an ability to deliver a mileage of around 14.74 Kmpl, which is fairly decent. This vehicle comes with a sophisticated disc braking mechanism that is further accompanied by high performance brake calipers. The company has further incorporated the anti lock braking braking system, cornering brake control, electronic brake force distribution and emergency brake assist system , which will reinforce this mechanism. On the other hand, this saloon comes with a highly robust suspension system in the form of double wishbone front and multi-link rear system. It is further accompanied by coil springs and anti roll bars, which augments the suspension mechanism. This Jaguar XF Diesel trim comes equipped with several advanced comfort features that ensures a fatigue free traveling experience. Its cabin is fitted with a dual zone automatic air conditioning system including air filtration and recirculation that regulates the air temperature inside. Also it has features like a tilt/slide electric sunroof with one touch operation, power windows with one touch close/anti-trap function, an interior rear view mirror featuring auto dimming effect, front console with storage compartment, 60:40 rear split seats, rear center armrest with twin cup holders and various other important features. This saloon also has features like electrically adjustable steering column, front passenger seat away function, phosphor blue halo illumination and interior mood lighting. In addition to these, this trim has a 250 Watt Jaguar sound system with FM radio, single slot CD player with MP3 playback, a 7-inch full color touchscreen display and navigation system. The company is offering this top end variant with innovative safety aspects, which protects the vehicle as well as its passengers. It comes with a reinforced protective body-shell that incorporated with high strength steel that creates a safety ring around the cabin, which eventually protects the passengers inside. The list of other safety aspects include six airbags, cornering brake control, dynamic stability control, central locking system , an engine immobilizer device, pedestrian contact sensing system and front seats with whiplash reduction system. 1. Safety and comfort features are a big plus. 2. Eye-catching exteriors and interiors. 1. Initial cost of ownership is too high. 2. Ground clearance can be made better.